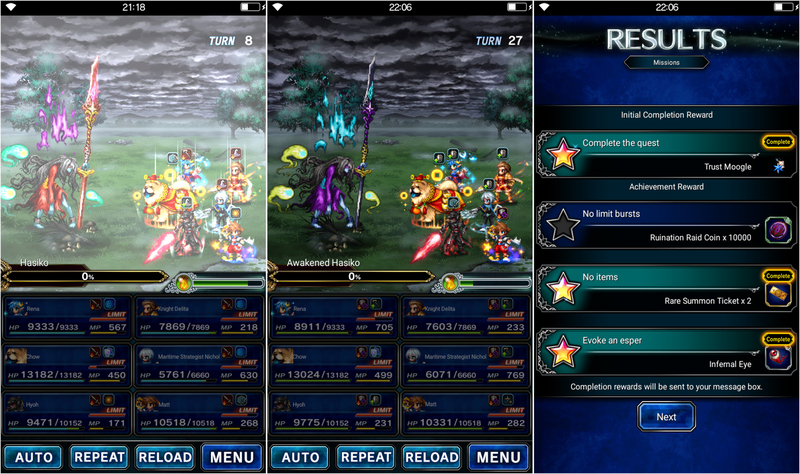 It’s been a while since I’ve put up a guide against one of the FFBE challenges. 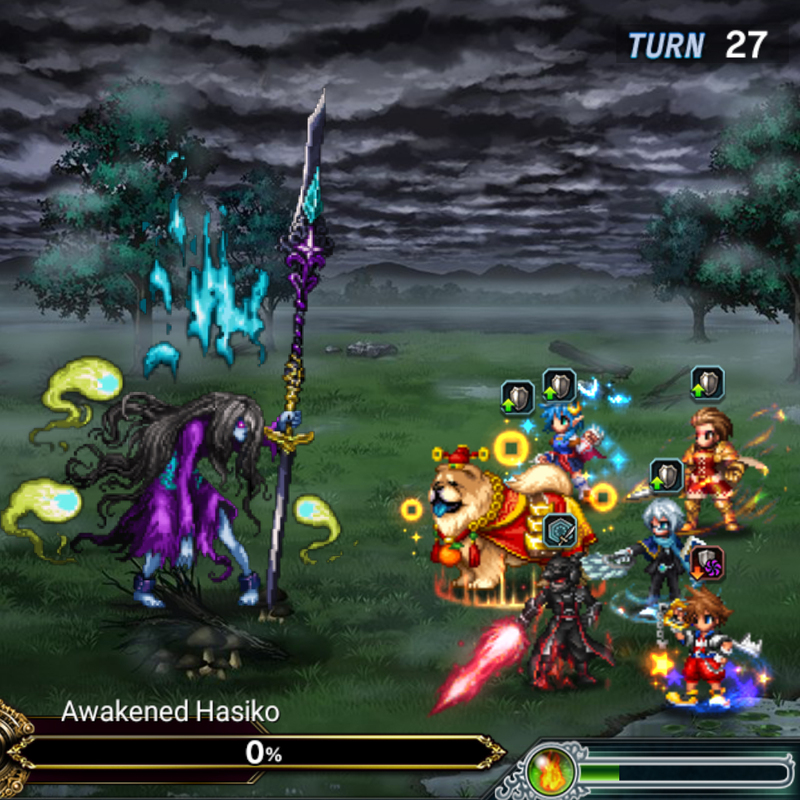 Primarily because some (non-10 man trials) didn’t really require a lot of thought because of the powercreep borne of the 7* meta… Awakened Hasiko of the Shadows of Ruination trial is another story. I emptied out a full bar of NRG and refilled twice to defeat her. Went in blind and without looking at either a Libra or its wiki for information. A waste for sure but a challenge well accepted. 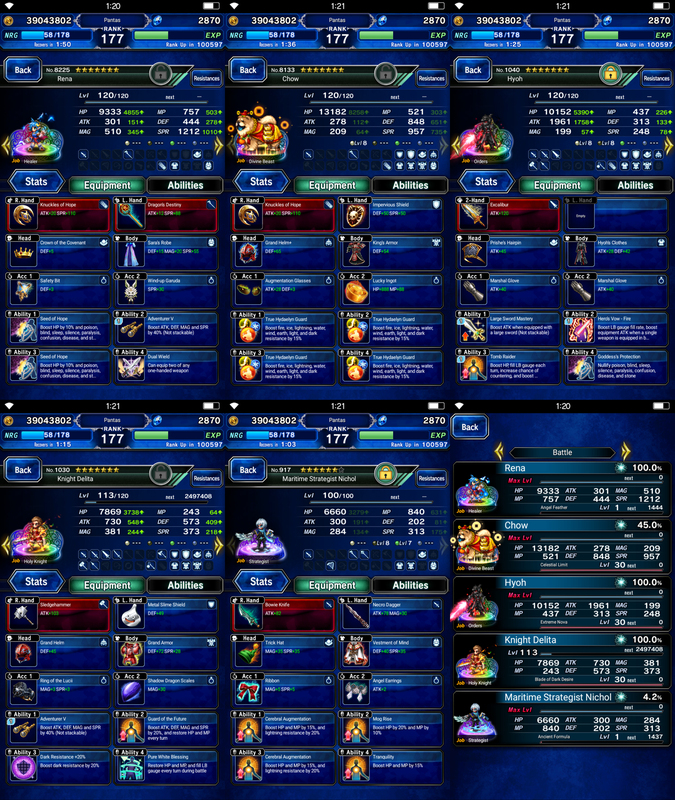 Initially, I didn’t have complete status immunity on all my units which made my first team comp fail despite making it past Hasiko and bringing Awakened Hasiko to around 25% HP. I was running a double battery team at the onset – Ace and MS Nichol but I shifted to this team comp when I got fed up of the damage. Once a rotation gets established after breaking Hasiko / A. Hasiko, it’s just a matter of constantly applying damage to eventually take the HP down to 0. This, along with the LB Break from K.Delita makes the damage and consequent MP drain from Hasiko much much weaker. MS Nichol adds damage and protection by way of Soulful Stance and attacking MP via Magic Restorative Stance for the very MP hungry Hyoh and Sora… And for dire times Chow can come in and shoot off his LB restoring 75% of everyones MP pool. This strategy requires LBs absolutely so it’s a good thing nothing important is linked to that achievement. A total of 35 turns netted me the Infernal Eye using this team. I hope you’ve gotten yours by now, else that this pseudo guide would’ve contributed to your getting it for yourself. See you guys on the farplane!